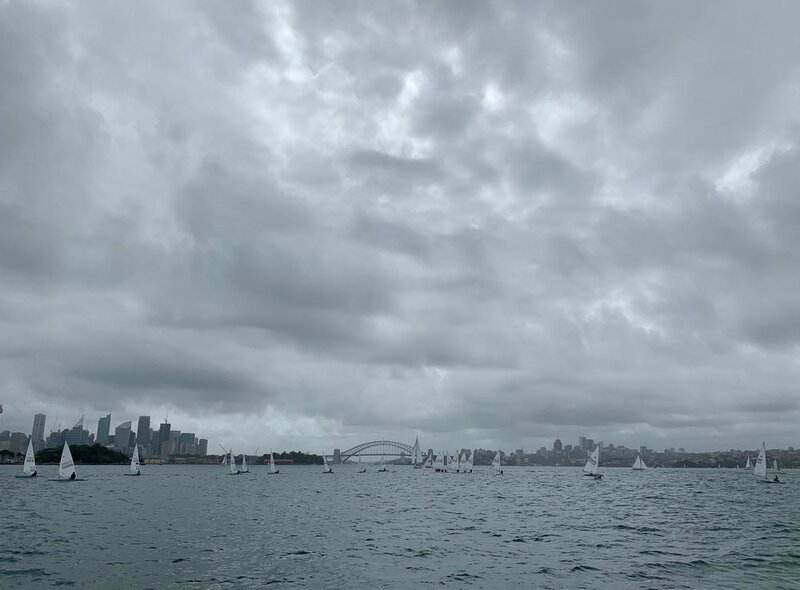 The Competency Training and an agreeable 7-12 knot E/NE breeze ensured the biggest fleet of the season competed on Saturday for Club Championship Heats 9 and 10. 58 boats faced a gradient breeze that was patchy at times; looking for the pressure and avoiding the lulls was key. The winners were: Standards: Rod Barnes (heat 9) and Mark Bethwaite (heat 10); Radials: Jack Littlechild (heat 9) and Daniel Costandi (heat 10); 4.7s Kim Ketelbey (heats 9 and 10). Thanks to this week’s race volunteers — Jonathan Stone (PRO) and Clare Alexander on the Jazzman, and Craig Sheers and Marty Trembath on the Paul Adam. David Devlin joined Paul, Shirley and Andrea to cook the plethora of toasties needed after the intellectual workout of the Competency Training. Thanks to the Canteen Crew and the BBQ-masters, the day ended with a scrumptious BBQ on the deck and a debrief with our coach Brett Beyer, along with DBSC’s most impressive-ever planning for the State Masters Championship (thanks Ian!). A Grey Summer’s Day on the Harbour. Photo by Clare Alexander.